2017 SEASON:We would like to welcome our new committee for 2017 and thank them for already getting started on plans for next season. 2017 is going to be an exciting year for the Lions as we prepare to come back bigger and stronger than last year!! We have already had 101 players register for next year and will be on track for more teams in 2017. REGISTRATIONS NOW OPEN:You can register now and become a member of the LIONS DEN.Sign up now to play in 2017 and you will receive an exclusive FREE training singlet with your name and number on it ready for the 2017 season. A non refundable $50 deposit is required. All players who register before 6th November will pay 2016 registration fees. 2017REGISTRATIONS COSTS: $160 per player - $130 2nd child, and $110 each for additional family members on Junior Registration Fees. PRE SEASON TRAINING:Pre season training starts Tuesday 22nd November at Dukes Oval. The lions coaches will be down at Dukes Oval for preseason training and fitness every Tuesday from 6pm -7pm. The last preseason training night for this year will be Tuesday 13th December, and we will have a bbq after training that night. Dates for 2017 training will be advised shortly. Please have your expressions of interests in by Friday 4th November. DO YOU WANT TO BE AN UMPIRE: we are looking for umpires in 2017. Training will be once a week at Dukes Oval. To Umpire you must be 13, but can start training at 12 ½ years old. 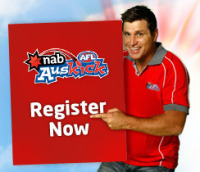 Its a great way to learn more about AFL while earning money when you start umpiring games. We are also looking for ADULT UMPIRES to join the team this year. If you’re interested please contact Mike Keep on 0478 778 474. YOUTH GIRLS:we will have 2 youth Girls teams in 2017. Western Sydney will be running an under 12s and an under 15s competition. We look forward to getting all our girls back for another great year. AUSKICK:We have big plans for Auskick next year and are looking forward to seeing everyone return for another year. 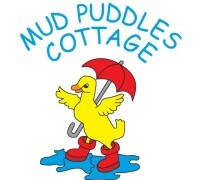 Online registration will be open soon! 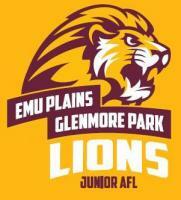 Keep checking our Team App, Facebook page and website, www.lionsafl.com.au for more information and important dates for our 2017 season. See you at pre season training........... GO LIONS!!! !